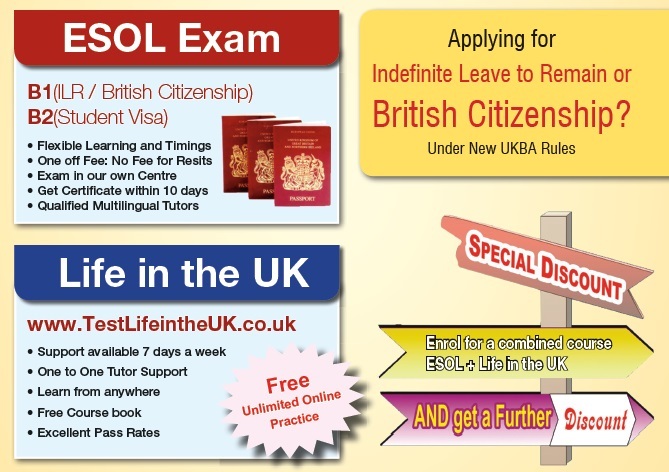 Any person who is applying for British Nationality or Indefinite Leave to remain in the UK will need to sit the Life in the UK test at a Home office approved test centre. In addition to this test they will also need to sit an English language test (Speaking and Listening only) at level B1 according to the Common European Framework Reference (CEFR) at a Home office approved Secure English Language Test (SELT) centre. Extra Learning offers a one stop shop to you by providing B1 English Language preparation and help you to prepare for the Life in the UK test. Our qualified and experienced tutors will ensure that you pass your test the first time. Fill in the enquiry form to find out more information about B1 and Life in the UK test. Extra Learning offers a flexible approach for their learners this is why we are open 7 days a week.